Disabled activists behind a pioneering new project are aiming to build the first organisation that will give people with chronic illness the chance to have their voices heard outside their own “social media bubble”. The Chronic Illness Inclusion Project plans to recruit people with chronic illness, develop a manifesto for social change, and ask how the internet and social media can provide them with new possibilities for “participation, organisation and action”. The aim is to “forge a collective voice” for the online chronic illness community, and find a place for them under the umbrella of the wider disability movement. 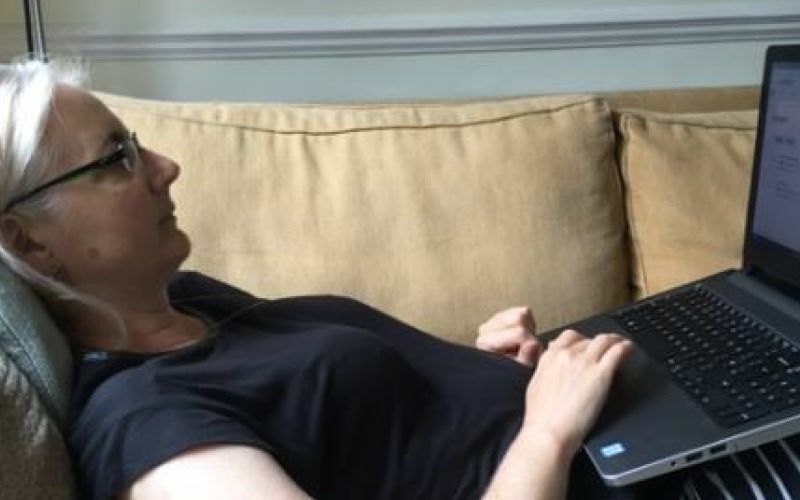 Catherine Hale (pictured), the project’s manager and lead researcher, said they planned to build on the work of groups such as The Broken of Britain, Spartacus Network and #MEAction, and the community of “spoonie” activists who have developed an online “badge of identity” through social media. Despite the growth of this community, Hale said that those who identify as spoonies or as people with chronic illness were still “largely invisible to the ‘real world’ because social media often acts as an echo chamber. As she says in a blog for Shaping Our Lives: “The trouble is no one outside of our social media bubble knows who we are. She believes the project is the first attempt to “consciously bring the issue of chronic illness to the fore, the first attempt to forge a collective voice that cuts across diagnostic labels, and work out where we fit within the disabled people’s movement. 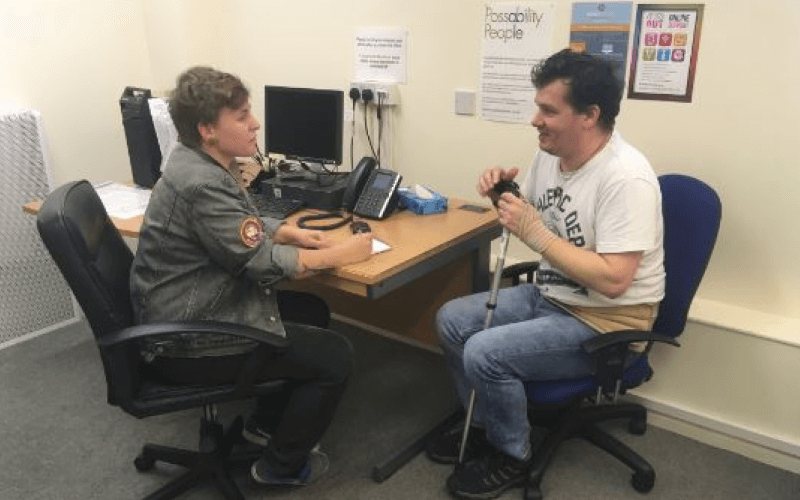 She said she hoped the project would help to build a new movement that would have a place “under the broader umbrella of the disability movement”, which she said has so far not recognised or involved such groups as well as it could. She said: “To me, ‘chronic illness’ is not an alternative or competing framework to ‘disability’ and the social model of disability. Among the aims is for those participating in the project to develop a manifesto for social change, which might present policy priorities for government, on issues such as welfare reform, employment or healthcare, or highlight issues that need to be addressed by families and communities, such as addressing social stereotypes and disablism. The lack of understanding of the challenges faced by those with chronic illness is stark, says Hale. She said: “The public can understand someone needing to work part time to manage a health condition. “The public has no understanding of the lives of people who could work just five hours a week from their bed, if such a job existed; or people who can’t ‘work’ at all but who actually work incredibly hard just to keep themselves alive. Although she says the hashtag #ChronicIllness on social media usually refers to “health conditions where stamina problems/fatigue and/or pain are associated with systemic impairment”, she wants anyone with a long-term health condition to sign up to their mailing list to find out about the project. They will set up an online forum for up to 20 of those who sign up, for detailed discussion of the experience of chronic illness and the barriers they face to social participation. They will also survey the broader base of supporters, as part of a process among all those taking part that will lead to the co-production of a “manifesto for social change”. The three-year project will receive £40,000 lottery funding through the pioneering user-led DRILL (Disability Research into Independent Living and Learning) programme, and is led by Hale, who has had ME for nearly 30 years and previously worked as a policy researcher for the Spartacus Network, Inclusion London, Action for ME and Mind. She will be working with co-investigator Jenny Lyus, herself a disability rights and ME activist. The project is also supported by an expert committee of people – including the artist-activist Liz Crow and the researcher and activist Dr Sarah Campbell – whose lives have been severely affected by chronic illness, and supported by the Centre for Welfare Reform.